- Clearing and balancing the chakras for peace and calmness. - For clarity and answers to your questions through Belly Wisdom. - Release energy in the physical body, open to greater awareness of your sensual being, and freedom of expression. 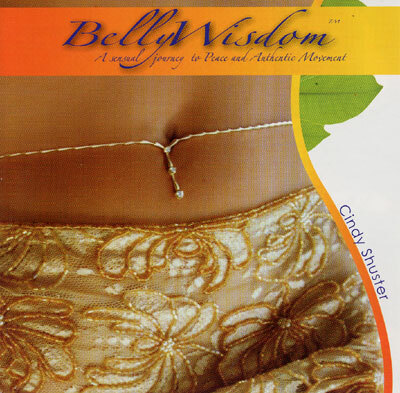 BellyWisdom,a sensual journey to Peace and Authentic Movemement..... is a hot, juicy, sensual, meditative and movement experience on CD that guides the listener on a journey of tapping into the "gut" for emotional clarity, spiritual awakening, and manifesting one's greatness by accessing peace, truth, and calmness. This three-part CD allows the listener to chose one of three areas to target or move through the entire process.